Follow these simple steps on how to care for cut roses to get the maximum vase life and enjoyment from your fresh cut roses! This rose care tip is one you can’t skip! Getting your roses into water quickly is the first step in caring for them. Fill a vase ¾ full with fresh, cool tap water. The roses will absorb the water, soaking up the nutrients that will travel up to the bloom and create a lively flower. 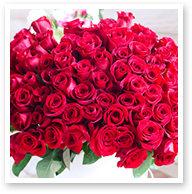 Check the water level in your rose’s vase every day and add more water as needed. A biocide to kill harmful bacteria. Flower food is instrumental in caring for your roses. Before placing the roses into the water, remove any extra foliage that would fall below the water line. Foliage in the water causes bacteria to grow, shortening the life of the roses. Cutting your roses is crucial to maintaining their health and longevity. Cut each stem carefully at an angle, about an inch from the bottom, while holding the bottom of the stem underwater. Once it's cut, place the roses in the vase immediately. In general, happy roses last longer! So, take care of your cut roses by having the perfect amount of vase water, the right mix of flower food, prune the rose stems for added beauty and health, and cut the stems for longer lasting beautiful roses. There are many rose varieties grown around the world. 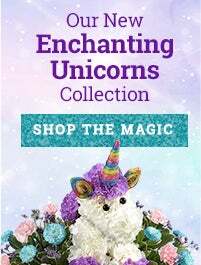 Here are just a few of our favorites! 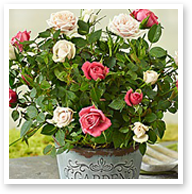 Known for their "wow" factor, these roses truly are the cream of the crop, and are gathered with the upmost quality and care. Only the most elegant blooms are chosen for our long-stem rose arrangements. The most common type of rose, tea roses are similar to long-stem roses, only with a shorter stem. Tea roses come in a variety of colors and make lovely bouquets for any occasion. 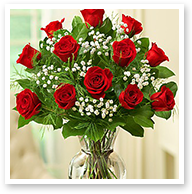 Sometimes called "miniature roses," sweetheart roses are smaller than other rose types. But what they lack in size, they more than make up for in charm. 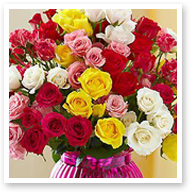 Available in a wide assortment of colors, tea roses are perfect for creating memorable vase arrangements. Spray roses are unique because they feature multiple blooms that branch off from the main stem. Sprays come in a vast array of colors. 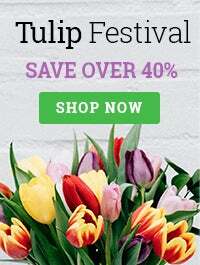 They are beautiful on their own yet versatile enough to complement other flowers in an arrangement. These fragrant flowers have large, wavy petals in a combination of colors, and feature large heads. 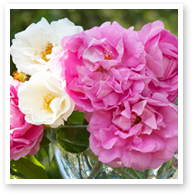 Garden roses are also known as "antique roses", "cabbage roses" and "vintage roses", and sometimes resemble peonies. A large, multi-colored open bloom is the signature of bi-color roses. 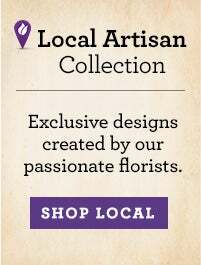 Their picturesque petals, with a rare natural blend of two colors, branch out from the stem. 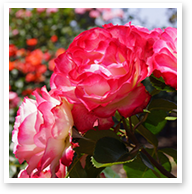 Bi-color roses are equally as lovely in floral arrangements and garden plants.